There are many things that anyone with a disability which limits their movement. 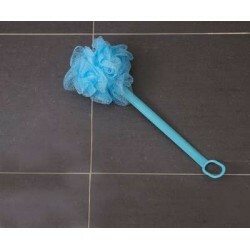 Carers will find these items incredibly useful as they make patient's hair-washing very simple indeed. These products fit over most sinks (if you're not sure, just ask us!) 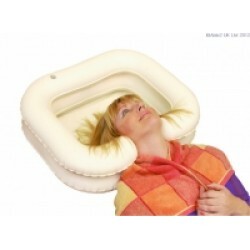 and allow the patient to lie back and get their hair washed in complete comfort. 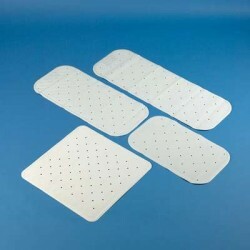 As you can see, we also have a variety of products to help you have a marvellous bath. 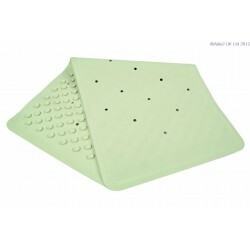 Evolution Knit Towels Evolution Knit Towels are specially designed to help reduce laundering cost..
Backrest for Savanah Wall Mounted Shower Seat The backrest has arms that foldaway independently a..
Bath Safety Strips These strips are perfect for all bath shapes and sizes. Made from soft, textur.. 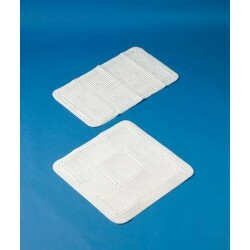 Everyday Bath and Shower Mats The Everyday mats have excellent grip due to the large number of su.. 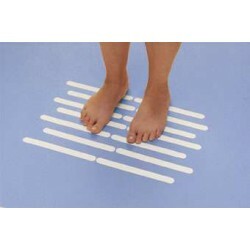 Luxury Shower Mat The luxury shower mat is soft, comfortable, free draining and manufactured..
Rubbergrip Bath and Shower Mats These Rubbergrip Bath Mats are made from rubber and have a ribbed..
Soft Feel Bath and Shower Mats Soft feel non slip bath mats that are especially designed for extr..
Bath Cushion A non slip cushion designed to make bathing a safe and comfortable experience. 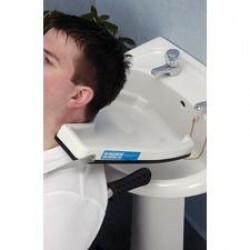 Sucke..
Bath Cushion A quality cost effective solution for those who require neck support and comfort whi..
Deluxe Hair Washing Tray With a unique, flexible surround that prevents slipping and provides com..
Deluxe Shampoo Basin A no-splash solution for washing hair in bed. 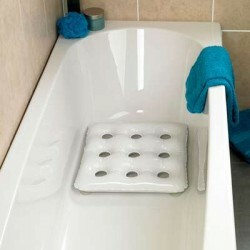 The Deluxe Basin has a double ..
Etac® Beauty Bathing Range The Etac Beauty body care range is ergonomically designed and carefull..
Flannel Strap Large handled strap and wash mit with soft flannel on one side for washing, and foa.. 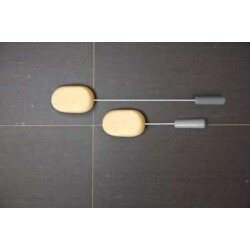 Foot Brush & Sponge For hygiene of lower extremities while standing or sitting. 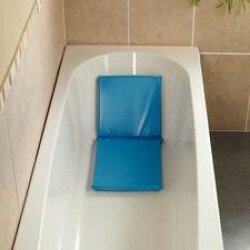 Useful for pe..
Inflatable Bath Cushion This Soft Feel Bath Pillow is an easy to use way of making bathing more c..
Long Handled Net Sponge A luxurious alternative to a brush or sponge, this net encourages the soa..
Long Handled Sheepskin Pad Washer Gives easy reach and can be bent to shape to reach awkward plac.. 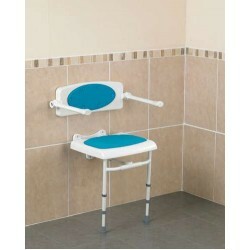 Gives easy reach and can be bent to shape to reach awkward places. 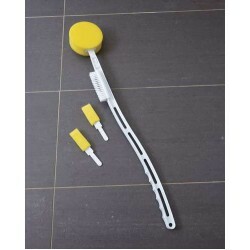 ..
Long Handled Toe Washer A long stem with plastic built up handle and wire frame covered in .. 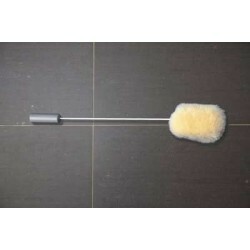 Lotion Applicator Specially designed to help apply moisturising lotions, suntan oils, sport cream..